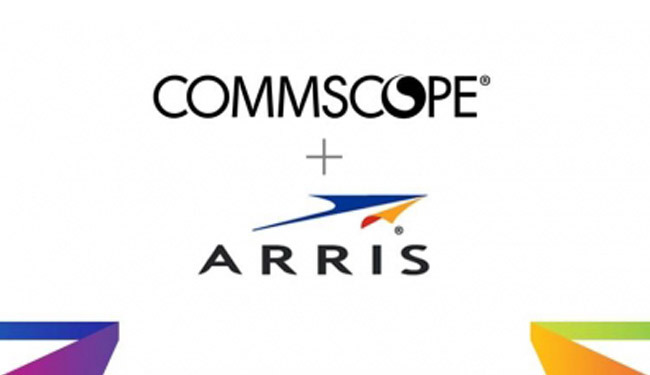 CommScope Holding Co. agreed to buy Arris International Plc for about $7.4 billion including debt payments, creating a U.S. powerhouse in telecommunications networking equipment. The cash purchase is set at $31.75 a share, compared with Arris’s closing price of $27.79 a share on Wednesday, Hickory, North Carolina-based CommScope said in a statement on Thursday. Additionally, Carlyle Group LP will make a $1 billion minority equity investment in CommScope to help finance the transaction. Carlyle will add two representatives to the board of the combined company. Facing a spending slowdown in network gear by phone and cable customers, the two companies decided to combine efforts to address the sales challenges and expand into new markets, including high-speed fifth-generation mobile networks, CommScope Chief Executive Officer Eddie Edwards said on a conference call Thursday. The combined companies will have about $11.3 billion in revenue and adjusted earnings before interest, taxes, depreciation and amortization of $1.8 billion. Big network-equipment customers including AT&T Inc. and Comcast Corp. have shifted strategies toward media acquisitions. Those pressures, and a lull in 4G wireless-network spending among carriers ahead of a major 5G spending campaign, forced CommScope to seek options that led to the Arris deal, Edwards said on the call. CommScope shares fell as much as 20 percent to $19.63 in New York trading Thursday, the largest intraday drop in more than seven months. Arris rose as much as 11 percent to $30.90.